FoliageOvate 3 inch medium green leaves. Flower Form2 inch double flowered with 3 - 7 racemes. PruningTo shape and control size After flowering, blooms on previous years wood. 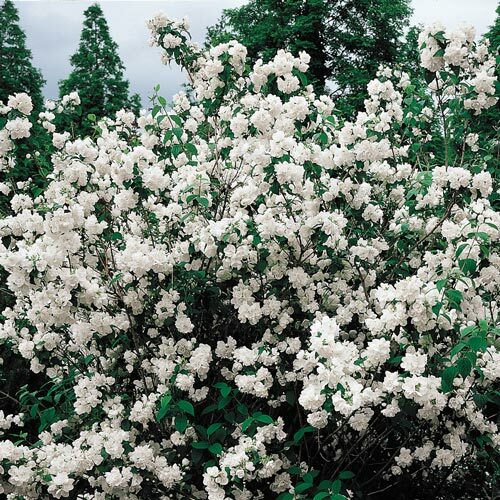 CommentsA wonderful, orange-blossom-like fragrance makes this showy white-flowered shrub very popular. Vigorous and easy to grow, it's great for foundation plantings or shrub borders. Size2 inch double flowered blossoms with 3 - 7 racemes. 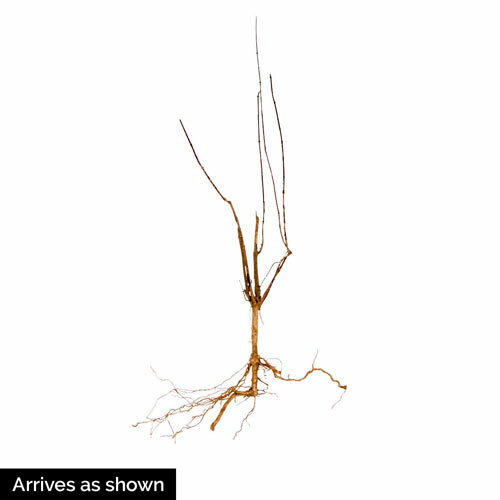 DepthSoak roots or entire shrub 2 - 6 hours and prepare a hole 18 inches deep.